My Margy Meanders blog is where I share posts about general topics. 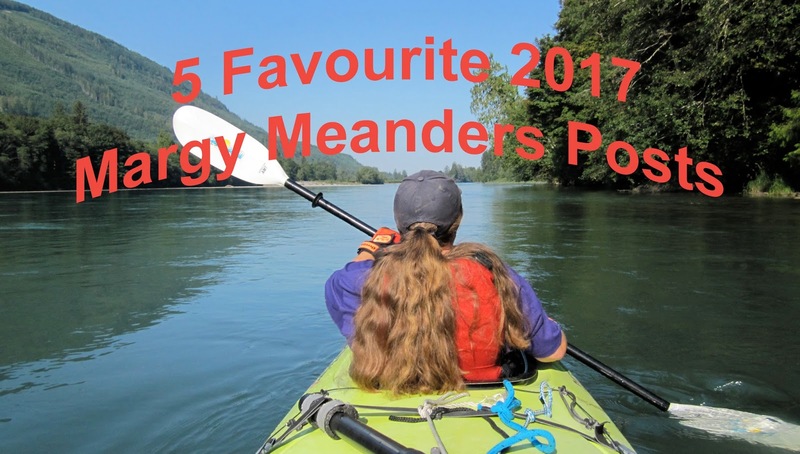 Looking back at 2017, here are some of the most popular posts. Click each title to read the entire post. Thunderstorms in Skagit Valley -- When Wayne and I come to Bellingham we like to explore the area. A favourite day trip is to drive scenic Chuckanut Drive south along the coast towards the Skagit Valley. After living most of my life in Southern California, I really enjoy experiencing the changing seasons and the spectacular weather we have both in Washington State and home in our Powell Lake float cabin. Back in Time at Boomers -- One popular post was about a favourite restaurant in Bellingham. It's a classic! Just like the 50's, you drive up and park, flash your lights and give your order to a carhop. 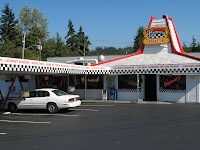 Boomers is popular with locals including students from nearby Western Washington University. You never know who you might run into. My favourite meal is a Boomer Burger, waffle fries and a peanut butter shake. Yum! Come Fly with Us -- We travel to Bellingham about once a month. One attraction is our airplane. 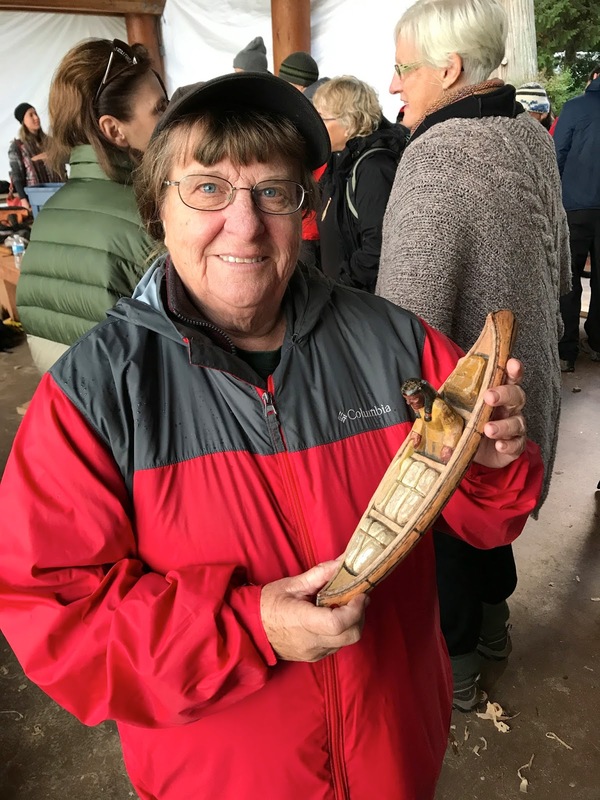 When we immigrated to Canada, we decided to leave our Piper Arrow in Bellingham in her hangar, an important consideration in the Pacific Northwest. In this post you get to fly around the pattern at Bellingham Airport. We also fly to places like Port Townsend for breakfast, Oregon for USC sports and airplane camping. Cranberry Orange Nut Bread -- Whether I'm home at the float cabin or in a condo in town, I love to cook. Of my cooking posts this year, the most popular was for Cranberry Orange Nut Bread. And it's a favourite of mine as well. I usually have all of the ingredients on hand, making it a quick and easy thing to make for a breakfast meal or a late evening sweet treat. Both of my parents were excellent cooks, so I guess I come by it rightly. "Paddle to the Sea" -- There was a exciting event this year in Powell River. Canada C3 (meaning coast to coast to coast) was a commemorative ocean expedition that started in Toronto, followed the St. Lawrence to the Atlantic, traversed the Northwest Passage, and completed their 150 day journey in Victoria, BC. Along the way they stopped in my home town. They brought with them Paddle to the Sea, a carving used in the film adaptation of the book written by Holling C. Holling. (Click here to see the complete film.) When I taught school, I read Paddle to the Sea to my elementary students. Little did I know back then that I would move to Canada. And little did I know that my life would come to a full circle in a unique way. We hope you enjoyed the tour. 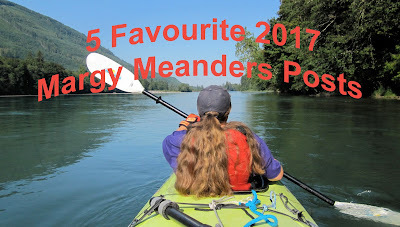 You can read more about our off-the-grid lifestyle and adventures in Wayne's Coastal BC Stories series of books and e-books. 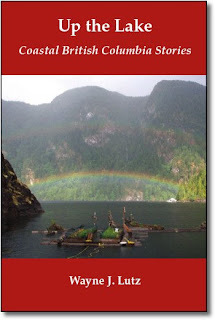 Go to PowellRiverBooks.com for more information and ordering details and get an ebook copy of Up the Lake for free. The Coast to Coast to Coast expedition! Wow, I think I might be jealous! I'm always happy to read of your love for my native British Columbia. I miss the coast, a lot. I hope you have many more adventures in the coming year. Hello, Wow, you have been on some adventures. Airplane camping sounds exciting. I will have to check out more of your post on this blog. Have a happy day and week ahead. Sometimes storms make the best skies. Happy New Year! "Come Fly with Us" How cool is that! Airplane camping looks very exciting as peanut butter shake tastes yummy. Happy holidays! Margy, clever take on the letter Y. Thanks for sharing. whatever will happen or not, we'll just have to wait and see but I do wish with all of my heart that you and your loved ones will have the most beautiful and happy healthy blessed year ever !